One of my favorite things to do as a family is to visit a zoo. I love witnessing the wonder and amazement in my boys’ eyes as they see an animal for the first (2nd and 3rd) time! Their faces light up and their smiles come alive as they point to each animal in excitement. According to the Association of Zoos and Aquariums, zoos and aquariums have over 181 million visitors each year. We have already shared the many benefits of visiting an aquarium, so now it’s time to take a closer look at zoos. Visiting a zoo offers so many incredible learning opportunities. While having a fun day exploring, kids will develop valuable skills and obtain priceless knowledge. A day at the zoo also encourages a healthy lifestyle while bringing family and friends together. It is the perfect day trip destination for any season! As children walk around the zoo, they are exposed to words and concepts. It also encourages dialogue between parents, children and even siblings. While walking around with your child, it is important to label every animal and ask questions. This will help increase their vocabulary and comprehension skills. Visiting a zoo is the perfect way to spend a day together as a family. Grandparents, parents, cousins and siblings can all find something to enjoy at the zoo. One of my fondest recent memories is visiting the Turtle Back Zoo with my mom, grandmother and two boys. It was an exciting and magical day for everyone! 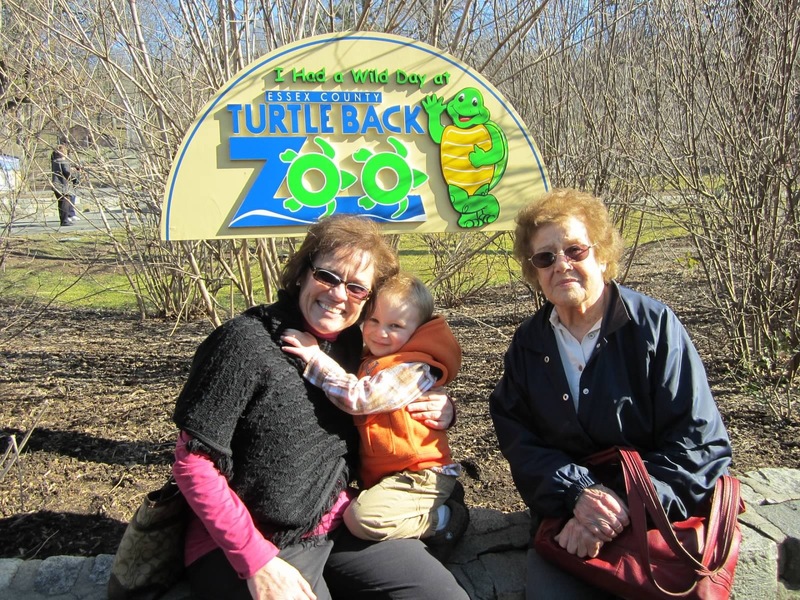 Visiting a zoo is a great way to spend time with grandparents and great grandparents! Many zoos offer exciting and educational activities and special events. For example, Turtle Back Zoo and Cape May County Zoo both offer night-time programs where visitors get a first hand look at how animals behave and interact at night. Other events may include conservation days and days dedicated to specific animals. Seasonal events such as the holiday lights at Turtle Back Zoo and Zoo Boo at the Bergen County Zoo are also great events for families to enjoy. Visiting a zoo helps children understand the importance of taking care of the environment as it has a significant impact on the lives and welfare of animals. 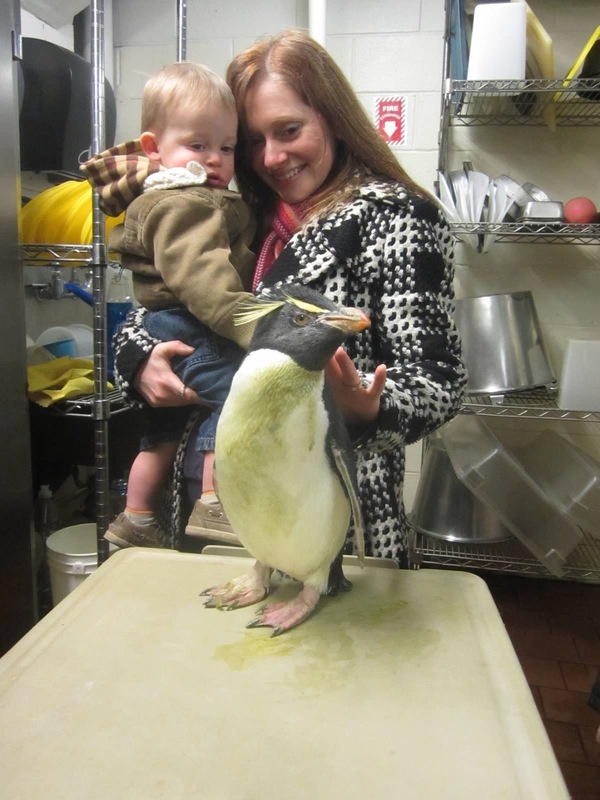 Zoos also teach families about the importance of conservation and animal care. Children can especially learn about the impact humans have on animals at Popcorn Zoo as this zoo only takes in animals that are sick, elderly, abandoned, abused or injured. Visitors can learn the unique story about each animal as they walk around the zoo. 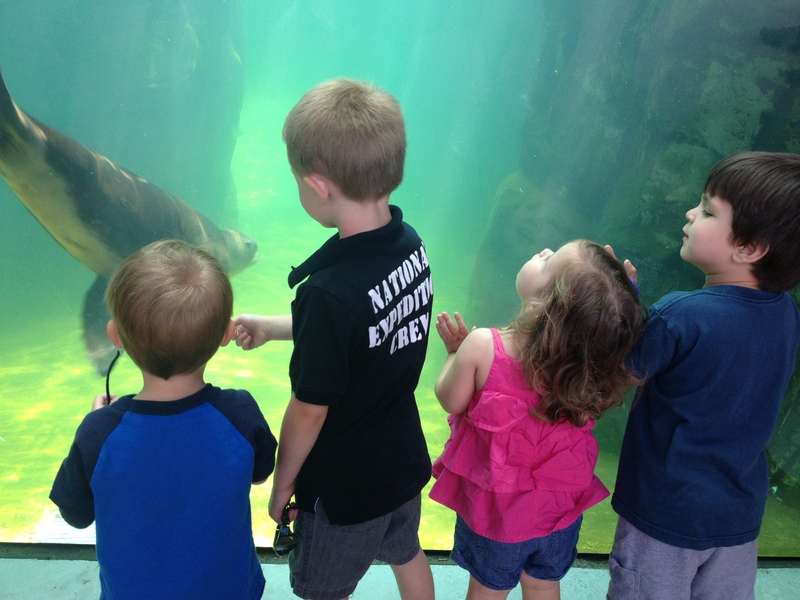 Zoos allow children to become more aware of the world of animals and what role they play in it! Most zoos offer educational programming including camps that help children become more aware of animal behavior, care and conservation. These programs, like the ones offered at The Bergen County Zoo, offer a structured, fun and hands-on learning environment for kids and families. They often include stories, songs, crafts and activities. These multi-sensory based learning programs are perfect for instilling knowledge about animals. Most zoos cover a vast amount of land which allows for ample exercise. Space Farms Zoo, for instance, has wide open spaces including several hills which is perfect for getting the heart pumping. Many zoos also provide playground areas for children to work those gross motor skills while making new friends. My favorite zoo playground is the Prehistoric Playground at the Turtle Back Zoo. 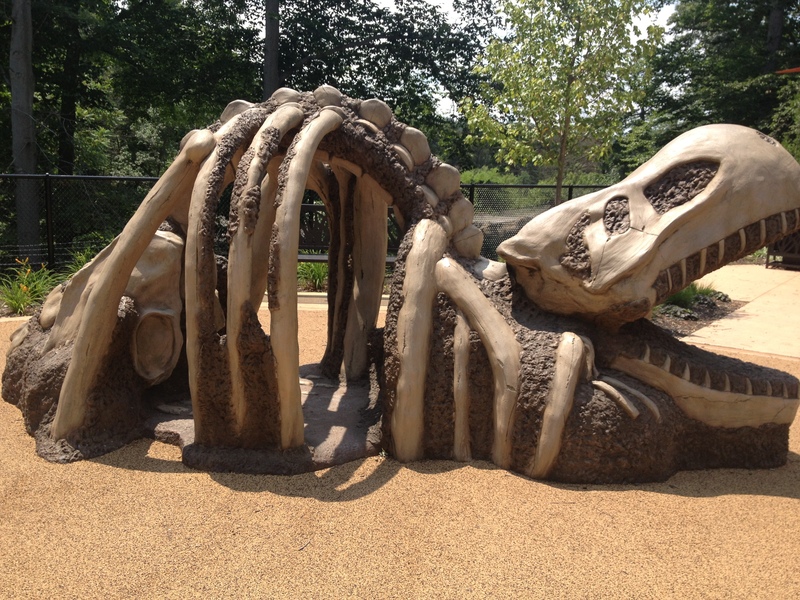 Not only does Turtle Back Zoo have amazing animals to visit, it also has one of the coolest playgrounds around! Even if you don’t attend the educational programs, activities or special events, children will still absorb an insane amount of knowledge when visiting a zoo. They will use all of their senses to take in their surroundings and expand their understanding about animals and their environment. They will learn the way an animal smells, the sounds he makes, the way he feels and what he looks like. Zoos offer a true multi-sensory approach to learning! For many kids, and adults, the best way to learn is by doing and feeling. Many zoos offer petting and feeding areas which allow kids to truly immerse themselves in the animals lives. The Turtle Back Zoo also offers an amazing Touch Tank where visitors can touch live sharks and stingrays. It is an experience the kids will not forget! Being able to pet and touch an animal helps children greater absorb what they are learning! As soon as a child enters a zoo, their eyes widen and the wheels start turning. “Mommy can I see that animal?” “Mommy where does that animal come from?” “Mommy can I take that one home?” Kids are innately curious which allows them to learn and take in their environment. Zoos encourage curiosity thus encourage learning and brain development! What I love most about the zoo, is that it allows children to explore their environment and make new discoveries. This all leads to cognitive, language, motor and academic growth. While exploring a zoo, children go on a wild adventure full of running around, asking questions and engaging in story telling. These activities are key for healthy development! Exploring their environment also helps children become more self-aware. They learn what animals they like and don’t like. They also learn to move past their fears and trepidation about certain animals, reptiles and bugs. 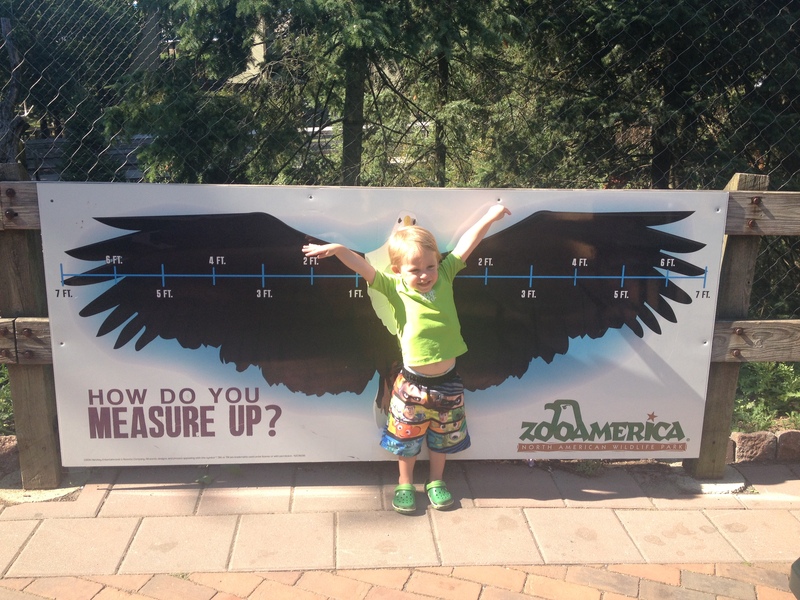 Visiting a zoo allows for exploration and discovery while sparking curiosity and creativity! Now you can see why I LOVE visiting zoos with my family! We love visiting the zoo, we haven’t been in awhile but it’s definitely something we will do this summer. That’s great Julia! We plan on checking out a bunch of zoos this summer too! This is amazing and I totally agree. I am a 6th grader. You helped me out with my animal research. That’s so wonderful Gemma!! I am so happy we were able to help you with your school project!